As you know, I’m hooked on classics. How can you call yourself a Bravado chef if you can’t prepare some of the great dishes from time past? I’ve been working on French classics, but we’re visiting grandchildren who are interested in cooking but are not responding to Vol au Vent or Escargots, two that we might have tackled. The whole French thing was getting no traction with the younger set. All three of kids (ages 8,6 and 4) we very into Cupcake Wars, the most recent Food Network success. 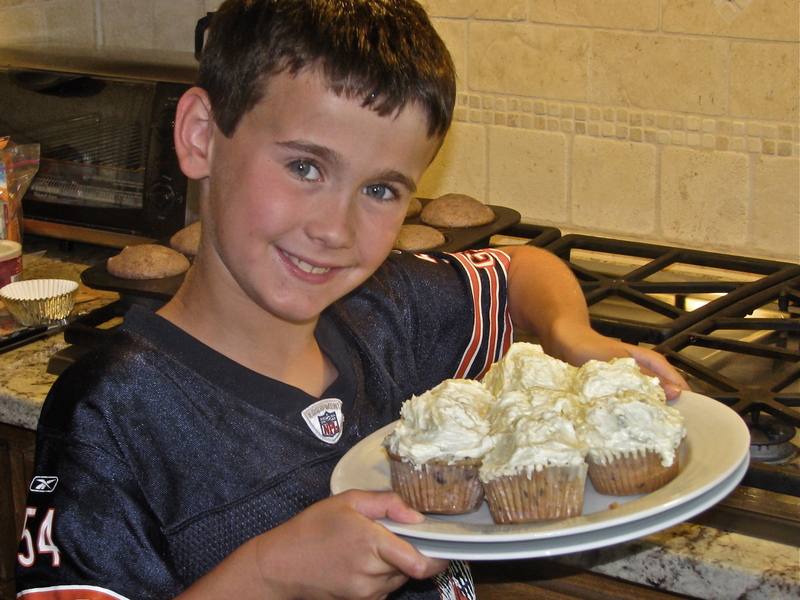 I realized that the situation was rapidly moving against me as the 8-year old Googled “cupcake wars recipes” and began printing some of his favorites. Adjusting quickly to circumstances, I suddenly realized that the cupcake is, indeed, an American classic and we could proceed with the classics program. We chose two recipes, Mint Chocolate Chip and Raspberry, both winners on the TV program and each with a wonderful butter cream frosting. We thought about competition but opted for cooperation. 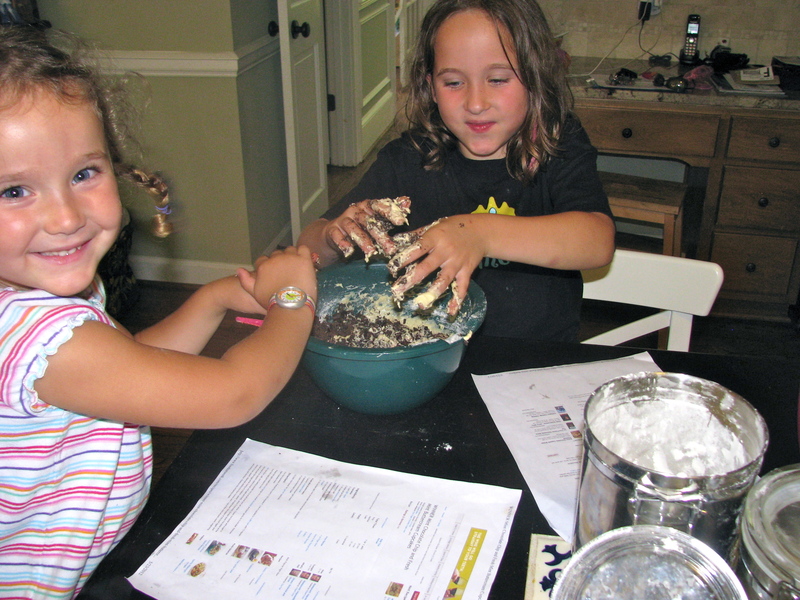 Between shopping for the ingredients, and making the kids do everything from reading the recipe to mixing and preparing everything, it turned into an all day affair. If you have had to take care of children before, you know that this is a good thing. We let the kids experiment a little with the recipes so we ended up with some coconut in the raspberry recipes and a few tablespoons of mango lemonade in the frosting. 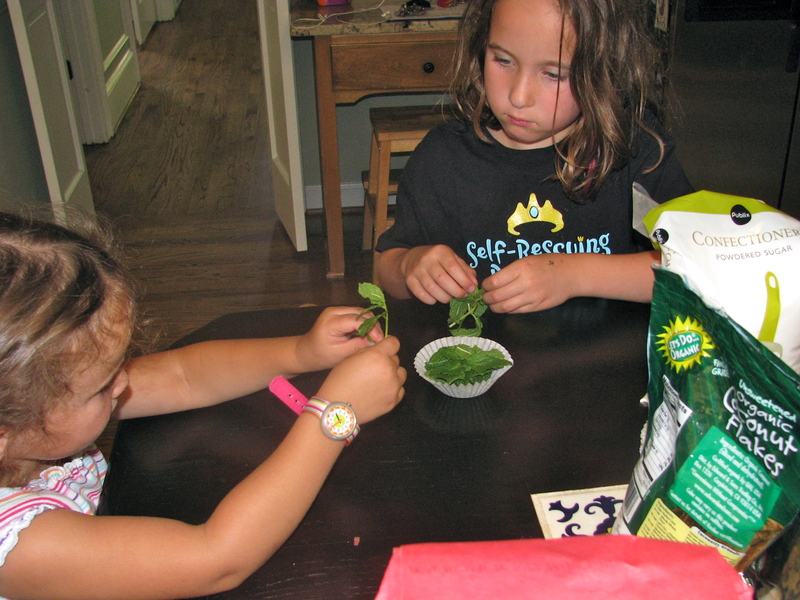 The Mint Chocolate Chip recipe uses fresh mint from the garden we planted with the kids. Using a hand mixer, slowly add the oil and mix until crumbs form. Continuing with the mixer on slow speed, add the milk, eggs and raspberries. Fill liners about ¾ full and bake for 20 minutes. Cool before adding frosting. 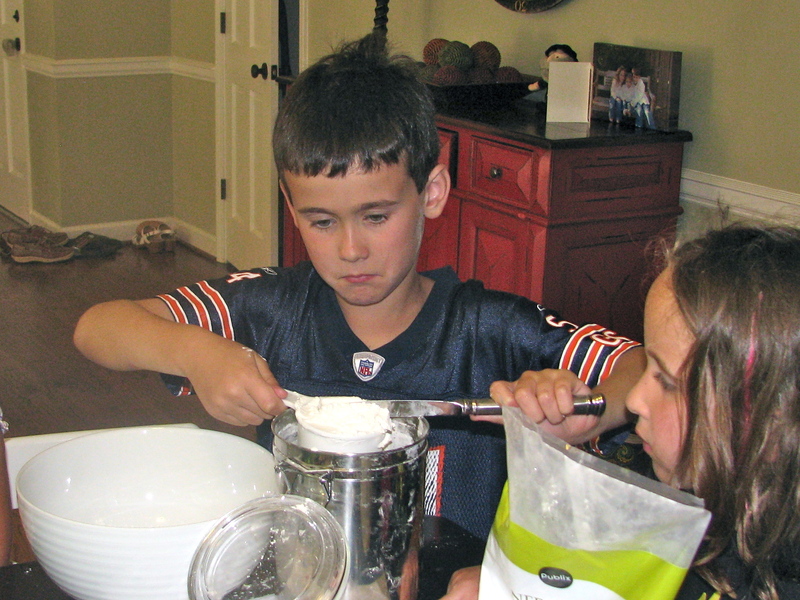 While the cakes bake prepare the frosting by first “creaming” the butter with hand mixer on low speed. Creaming breaks the butter apart, warms it up, adds air and creates a soft, pliable mixture. Slowly add the powdered sugar to the butter while continuing to mix on low speed. Add the lemonade and continue mixing for another minute. When the cupcakes are cool, remove them from the pan and frost. Put the cream and the mint in a small saucepan and heat on medium-low heat for 5 minutes. This will infuse the cream with the mint. 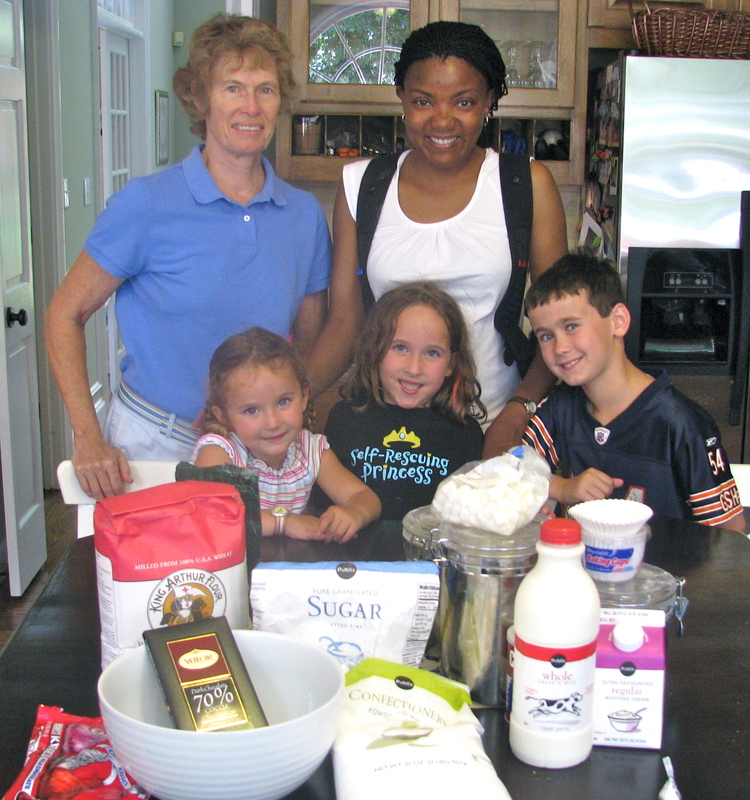 Mix the flour, salt and baking powder together in a bowl – stir well. In a separate bowl, cream the butter and sugar together with hand mixer on low speed. Do this for about 3 minutes so the mixture gets light and fluffy. Continuing to mix on low speed, add the eggs, flour mixture, and one cup of the mint infused cream to the butter and sugar. Save the remaining cream for the frosting. 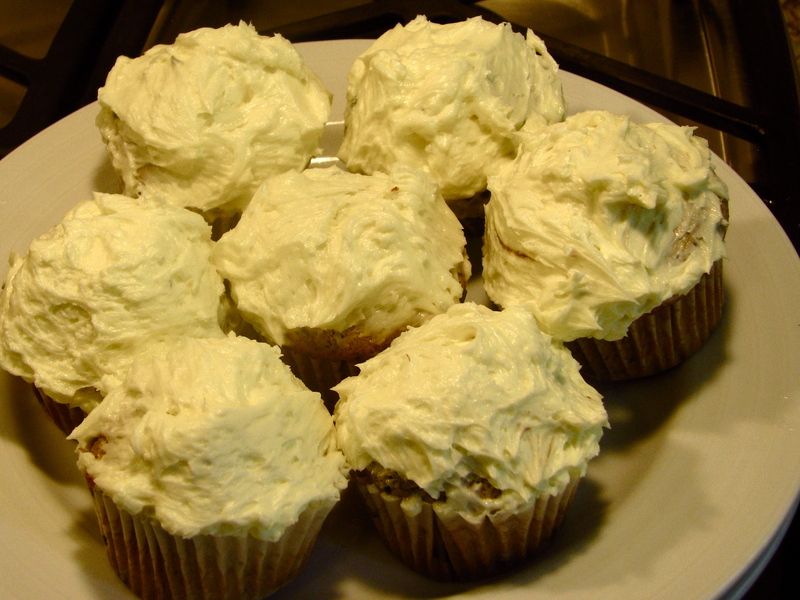 While the cakes are baking, prepare the frosting by first “creaming” the butter with hand mixer on low speed. Slowly add the powdered sugar to the butter while continuing to mix on low speed. Add the remaining mint infused cream and continue mixing for another two minutes. 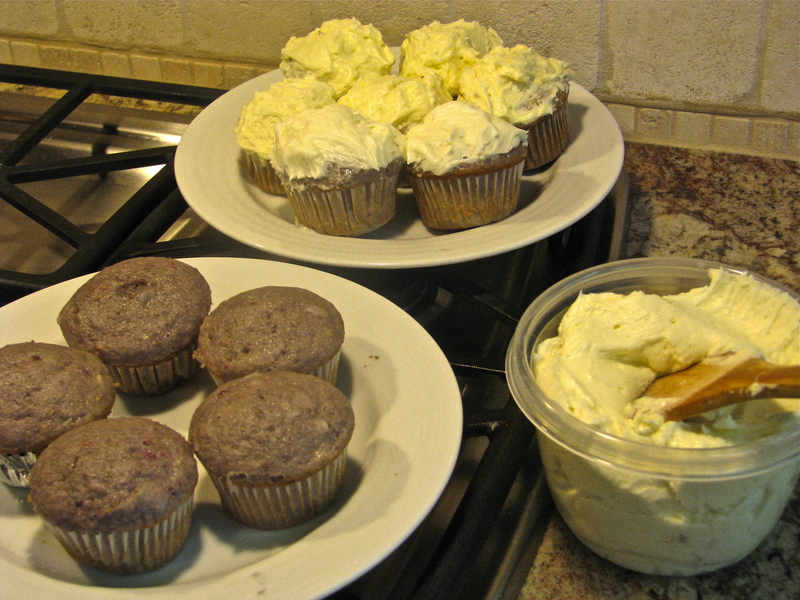 Both of these cupcake recipes are based on winning recipes in the Cupcake Wars. They are outstanding and will pique your interest in trying your hand. Go to the web and select some recipes and experiment away. This might make an interesting adult group activity also – teams battling each other with losers being forced to serve cocktails or otherwise abase themselves. Que bueno!! Gracias por la receta ! !